Having only just finished an upgrade of the Westpac Stadium last year, in time for the wugby world cup, it seems odd to me that the Stadium Trust are already talking about their next major upgrade – a complete refurbishment of the stadium inside and out – as shown in the DomPost today. In typical Dompost manner, all mention of the architects and engineers responsible for the sketches are omitted – the drawings seem to have come out of thin air, according to the Stuff, and yet we here at the Fish would like to know. Do you know who the architects or concept designers are on this project? 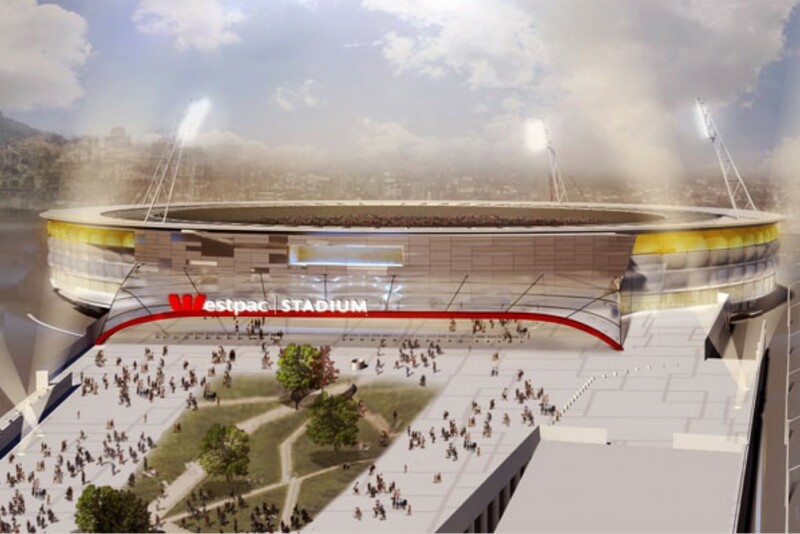 The Westpac Stadium Trust aren’t telling, yet, as there is no mention on their website. aaah, thank you. Populous it is. What is curious however, is that this morning there were more drawings, and i think some options – by 10am they were gone, and we’re left with just this external rendering. Definitely not a Stantiall drawing – so its not a local then ! We could pinch dunedin’s roofed stadium, they can’t afford to keep theirs. Plus we need a roof more than they do, its colder there, but we have heaps more wind and rain. Dunedin roof = square. Wellington stadium = round. I hope the exterior skin will be lit up in pretty colors, if it’s covered in that bubble wrap of course. varied between $60 and $80 million for construction of the roof. funding of such a project. Will the magnificent Māori design features above the entrance to the stadium now be retained? For me they are truly wonderful and it would be a real shame if they were lost. It looks like it is not to be retained, but this is all early days yet.